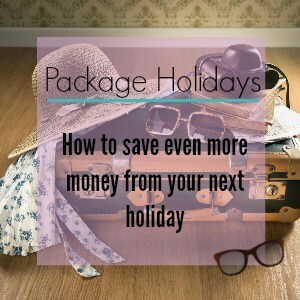 I know many people who prefer booking a packaged holiday rather than going through the hassle of having to book everything separately. In the UK especially they are a very popular way of going on holiday especially with the likes of Thomson and Thomas cook doing a great job in targeting middle aged tourists, families and 18-35 party goers. When we had our hotel in Corfu we use to primarily get tourists who had booked via one of these big companies. Many times the cost is considerably less than actually paying for everything separately. But many times it is not and there are ways to arbitrage this even by booking from the same company but separate packages. One of the reasons why this use to work out cheaper is because of the charter flights they have for their customers which most of the time fly directly from the UK to islands around Europe. For example before Thomas Cook and Thomson the best way to go to Corfu was to go to Athens and then either take an expensive flight or a 12 hour journey with coach and ferry. Now it is pretty easy to fly directly from the UK with so many low cost airlines and choices. People pretty much always assume that these packaged holidays are cheaper.Sometimes they are and it is cheaper to pay for a dead cheap packaged holiday to your preferred destination just because flying there would be more expensive. I know many British people who used to buy a package for £140 scrap the hotel and just use the flight portion because it was cheaper. 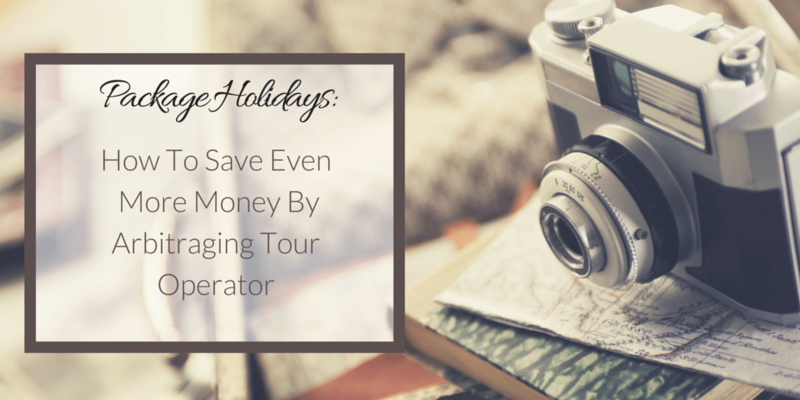 However there are times that booking separately using these same tour operators can save you some cool cash. I for once have had awesome deals when I was a student. I have paid £20 for a flight back to the UK from Kefalonia because I combined my holiday with my return and it saved me a ton of money. Usually these airlines offer excellent fares from the holiday destination into the UK or other European countries. 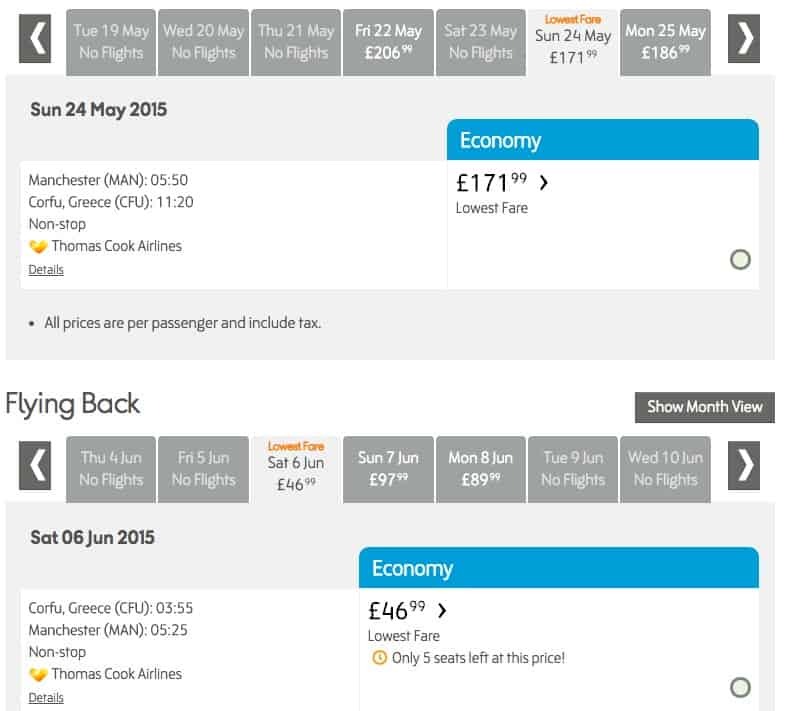 So you can buy a flight from Bulgaria, Spain, Greece and Italy for a very low price. This of course means that you will have to find a way to make it into the country but if you are flexible there are great options. Last year I paid £10 for a flight from Bulgaria to the UK which after cashback ended up almost being free. And the best part is it was closer to where I needed to go than flying into the capital. Just note that these are always seasonal routes so some might not work off season. The good thing with these tour operators is that they fly from regional airports. Which means that many times there are airports close to each other which you can chose from. For example you can find a flight with Thomas Cook from Manchester for £180 to Corfu one way however if you just drive 40minutes you can go to Doncaster or East Midlands and book the same flight for £100. Currently Easyjet and Ryanair fly to Corfu and other Greek islands which makes it great since you can book one way with them. On some days Ryanair offers flights for £50. The return flight however with Thomas Cook was interesting because it only costs £50 from Corfu to Manchester airport some days are even cheaper. As you can see there are ways to book cheaply by simply mixing and matching. Another thing that is VERY cheap is the hotel prices booked by these packaged companies. We used to rent our hotel to them for some periods and I can tell you the rent the property per bed for the whole season. Which means they can offer cheap prices on hotels or self catering accommodation for dirt cheap. If they don’t find people then their bed will be empty and at a loss for them. So usually they offer them in prices that are cheaper than anywhere else. They pretty much own the property for the summer and can give them for free if they so wish. Now what is really interesting, especially for those in Greece is that it is CHEAPER to buy your accommodation for the summer from a UK tour operator rather than from a Greek company. The price standard is different than what you will pay. Few years ago I booked my parents a holiday to Zante. I booked only the hotel choice from them since they were driving and it saved them hundreds of pounds. If they had called up the property from Greece they would have charged them let’s say 40euro/ £29 a day which is reasonable for a self catering apartment near the beach. However Thomas Cook the tour operator was offering similar property in the same village for £10 per day. Even car rentals or scooter renting is cheaper when booked via those companies. I love riding scooters in the Greek summer, smelling the fresh air and exploring. Just drive carefully as there are many accidents with tourists who are not used to the roads. And always wear a helmet. If you are on a budget but you still want to get some sun then looking into booking separately can really save you money. If you have some flexibility and keep an eye on various website it can really pay off. Excellent for large families with children who otherwise might not be able to afford it. Most of the times those hotels can always put an extra bed with no charge and most of them have plenty of space. Some websites that can be helpful when searching for booking your holidays from tour operators.